Good morning! 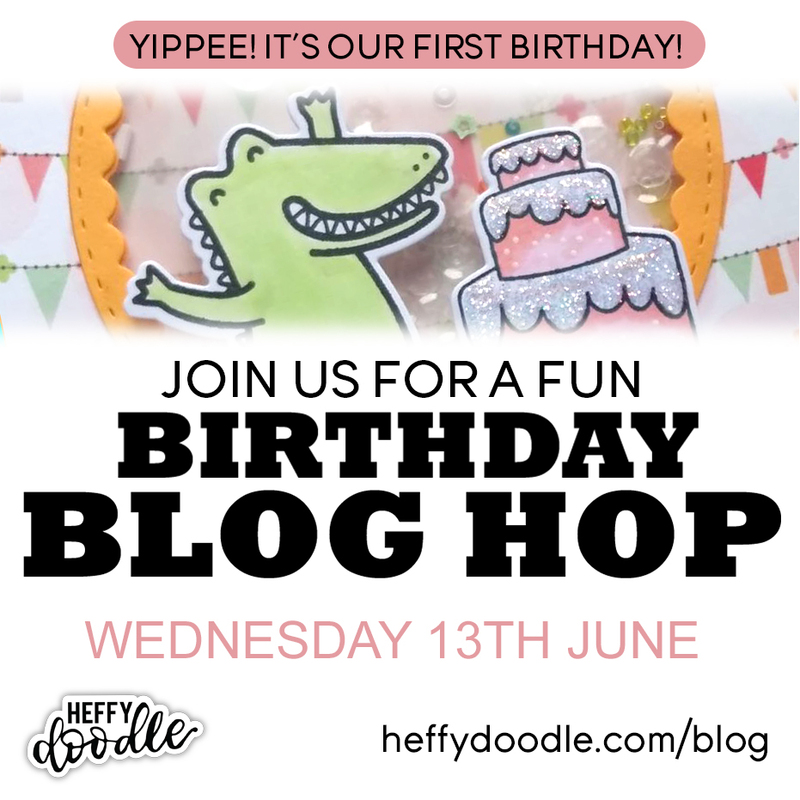 I’m thrilled to help Heffy Doodle Stamps celebrate their first birthday!! 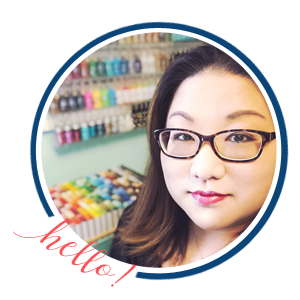 I’ve been a big fan of Lesley’s for a few years now and was excited to help her launch Heffy Doodle stamps last year (you can find that post here) and now look how far she’s come in a year! Here’s what I created for today’s hop! 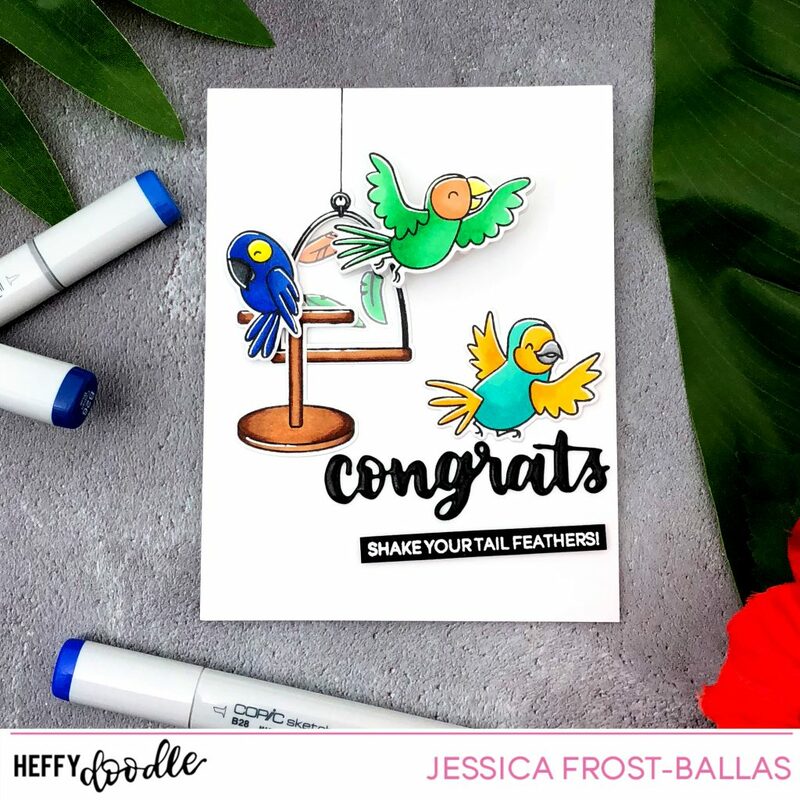 I love the cute Wingman set and wanted to create an interactive wobbling shaker card using that ‘shake your tail feathers’ sentiment! First I started by stamping all the images from Wingman with copic-friendly ink and coloring them with copic markers. I die-cut them with the coordinating dies, added accents with a white gel pen, and also die-cut the Congrats sentiment from black cardstock. Next I used metal trimmers to separate the inside of the bird cage die from the outside shape. I die-cut the inside of the cage from a panel of white cardstock to create my shaker shape. Next I added a piece of acetate to the back of the white cardstock. I built up a border with foam mounting tape and then added the feathers before sealing the shaker up. I LOVE those bright little parrots! 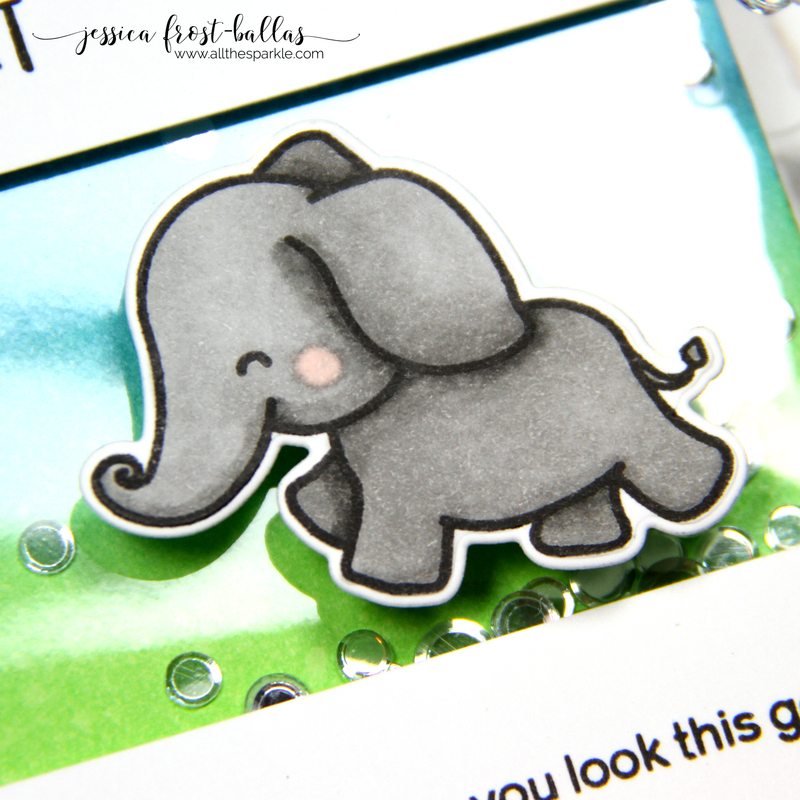 Your card is cheerful and positive and looks amazing! 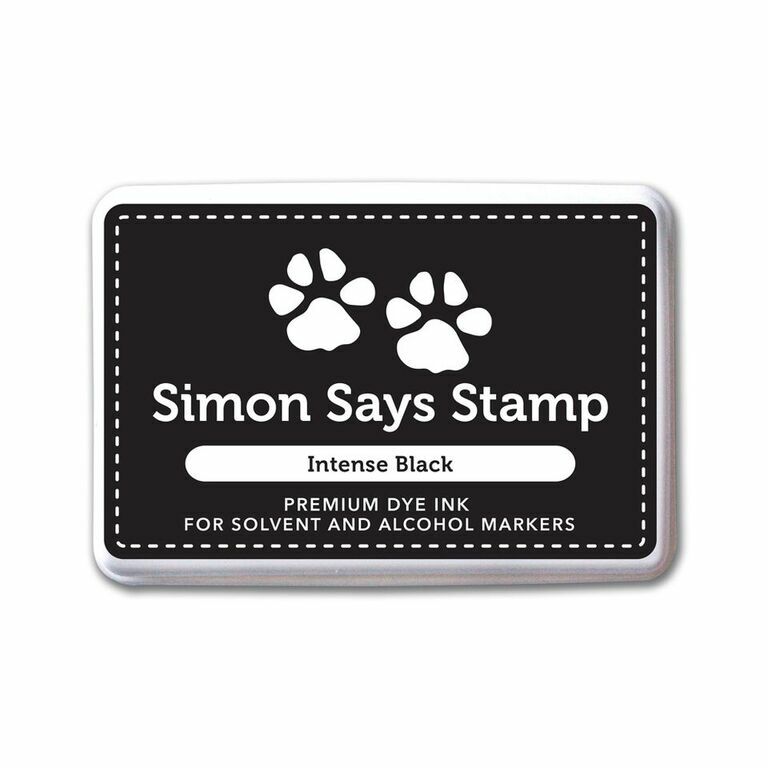 What a fabulous interactive card! Love how you colored the blue parrot to look like the blue macaw (I can’t remember the name of it…lol) I know they are expensive. Your card is beautiful. Love it – I love how the birds stand out with the white background. Very cute card, the birds are adorable. SUCH a darling card, love it! 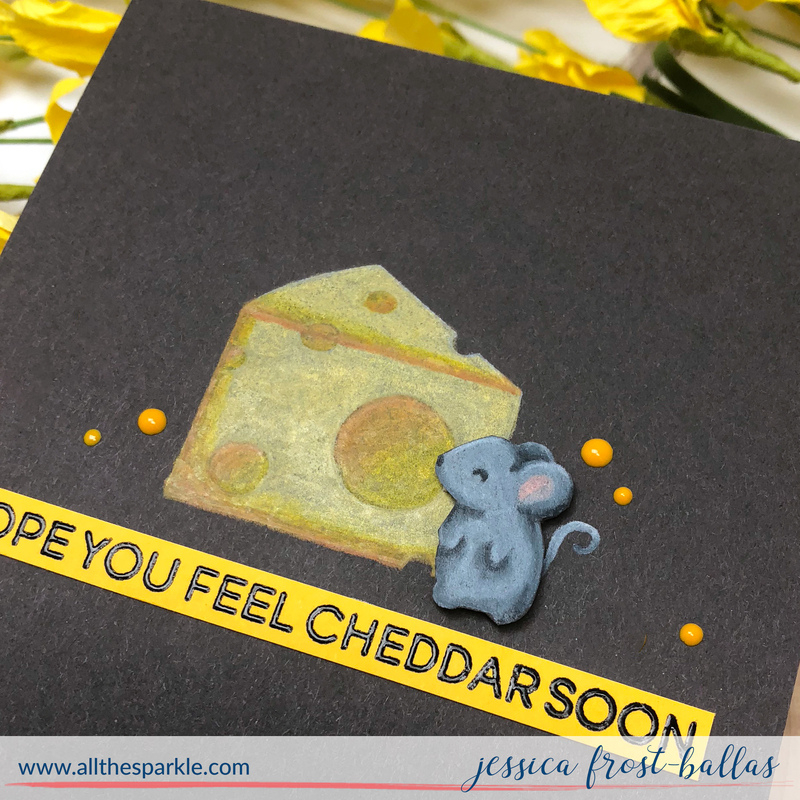 A cute, cheerful card, love all the bright colors! I love how you designed this card. Fun! Fun! Fun! These birds are so much fun! Cute new set. What a cheerful and vibrant card! Love the addition of the wobblers – so fun! Cute card. Love the bright colors and the extra feathers in the background. 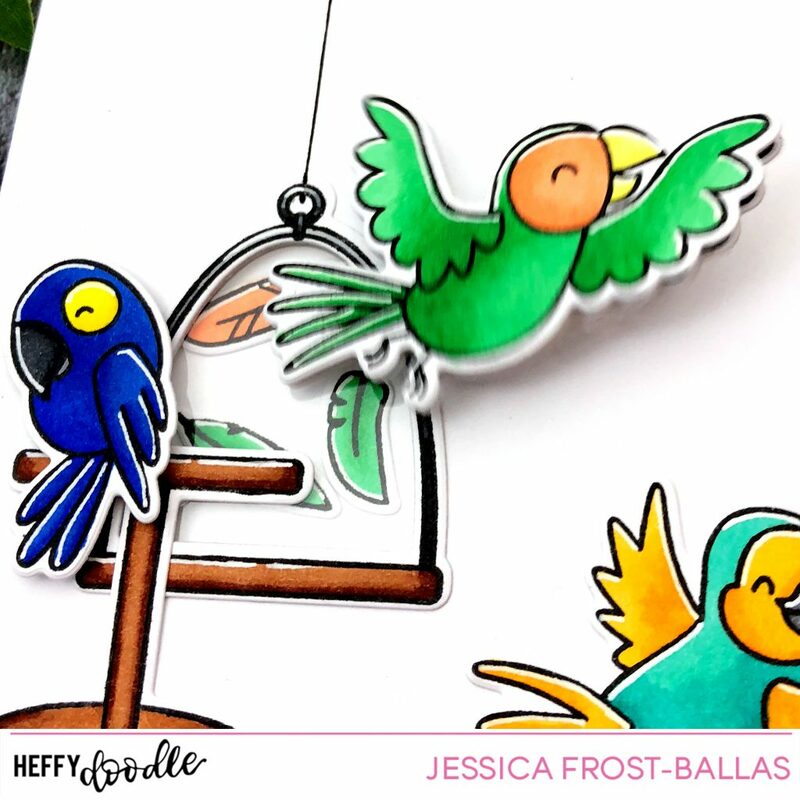 Love your color choices and the one parrot flying!!! Thank you! What a FUN card!!! I LOVE the little scene you created. The birds are so cute!! I love these birds. Wonderful card. Love the bright colors. Thanks for sharing and inspiring me. These birds are so much fun, love the colours.